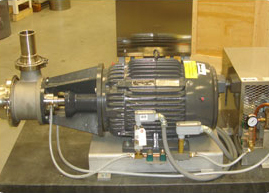 ARDE Barinco, Inc., an American manufacturer and distributor of high shear mixing, dispersion, and emulsification equipment recently completed successful testing for the preparation of a 5% carbomer dispersion neutralized with triethanolamine utilizing the powder/liquid dispersing device known as the Model D-6000 ARDE Dispershear. 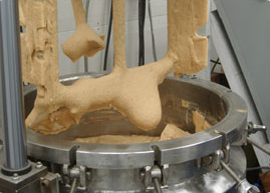 A 5% solids dispersion of B.F. Goodrich Carbopol 940 was prepared continuously. This predispersion of the light, fine carbomer powder exited the Dispershear at a dispersed total mass flow rate of 200 pounds per minute. The Model D-6000 Dispershear combines a volumetric open flight auger feeder with a powder into liquid mixing system. 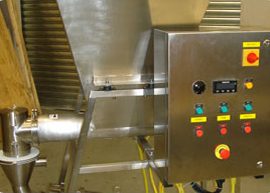 The mixer consists of a unique liquid distributor that surrounds the inlet feed of powder with a cascading flow of liquid. 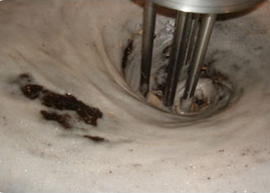 This cascading flow prevents blockage of the powder/liquid feed into the efficient low shear mixing impeller known as the impulser. 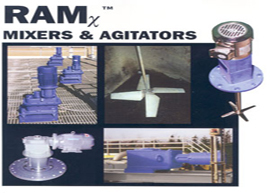 This four blade retreat sweep impeller accomplishes total dispersion of the powder instantaneously. The carbomer powder is completely dispersed after it exists the mixing chamber. 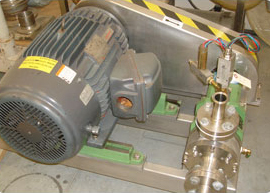 The total residence time in the mixing chamber is only 0.2 seconds. 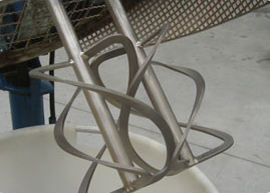 There is absolutely no degradation of the long chain polymer in the mixing process. Hence, the costly stabilizer can be minimized resulting in significant raw material costs savings for high volume users.